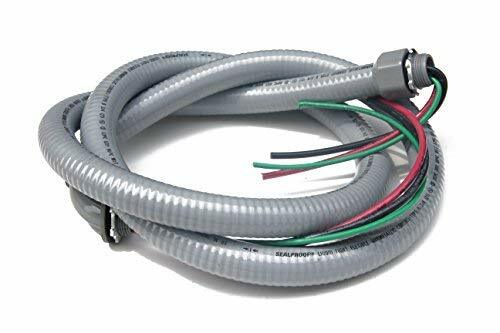 Sealproof Power Whip Assembly, 1/2-Inch x 6 Ft Nonmetallic Liquid Tight Flexible Electrical Conduit and 10 Gauge Wire Single Phase Preassembled A/C Hook-up Whip Kit, 1/2"
The Sealproof Power Whip Assembly is assembled with all UL components. Designed for easy installation, it resists corrosion, oil, and water, as well as being sunlight and outdoor resistant. A time and money saving convenience for installation of your A/C hook up. Resists Corrosion, oil and water; Outdoor, sunlight resistant. Lower installation cost and a time saving convenience. 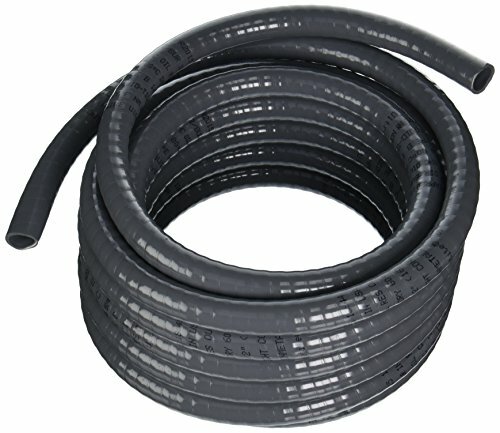 Ultratite-Type NM 1/2-Inch Non-Metallic Liquid tight Flexible Conduit. 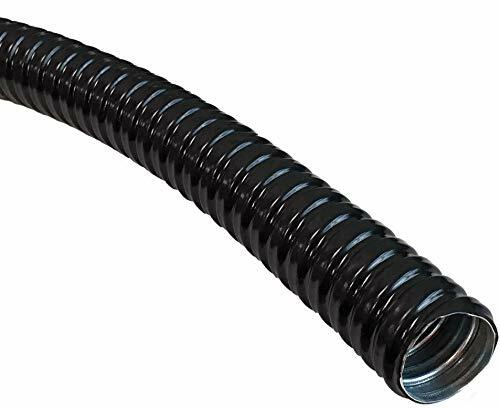 Liquid tight Flexible Nonmetallic Conduit. UL/CSA Listed. Oil-Resistant. Sunlight-Resistant. Crush-Resistant. 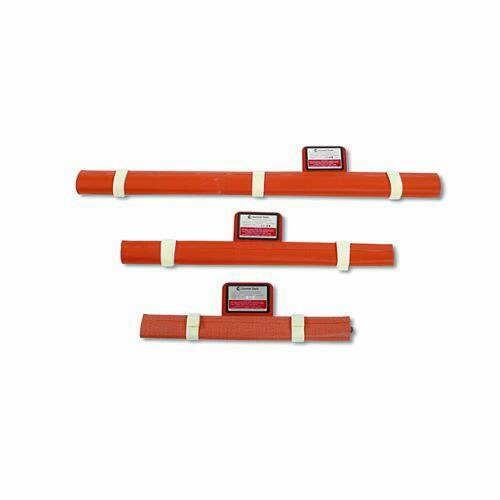 Temperature Rated -30-Degree C to 80-Degree C. Ultratite Type NM is manufactured with a spiral of rigid PVC reinforcement imbedded within a flexible PVC wall. For the installation and protection of electrical conductors in circuits of 600-Volt nominal, or less. Motor circuits-for conductors of motor feeders, branch and control circuits. Applications requiring movement, crossover connections, or tight bends. For direct burial and encased in concrete. For flexible connections to swimming pool, spa, and hot tub motors per NEC 680.21A3 and 680.42A1. Electric signs and outline lighting supply and secondary-circuit conductors per NEC 600.7, 600.311000-Volt or less and 600.32 over 1000-Volt. In Hazardous Locations-where necessary for flexible connections within hazardous locations in accordance with the following:-Class I, Div. 2-NEC 501.10B2-Class II, Div. 1-NEC 502.10A2-Class II, Div. 2-NEC 502.10B2-Class III, Div. 1-NEC 503.10A2-Class III, Div. 2-NEC 503.10B. Floating building feeders and services per NEC 553.7. Boatyards and Marinas in accordance with NEC 555.13. Cranes and Hoists in accordance with NEC 610.11C. For Elevator, Dumbwaiters, Escalators, Moving Walks, Wheel Chair Lifts and Stairway Chair Lifts in accordance with NEC 620.21 where expressly permitted. Under raised floors in information technology equipment conductors and cables in accordance with NEC 645.5 D and 645.5D2. For containment of 600-Volt and lower potential circuits. 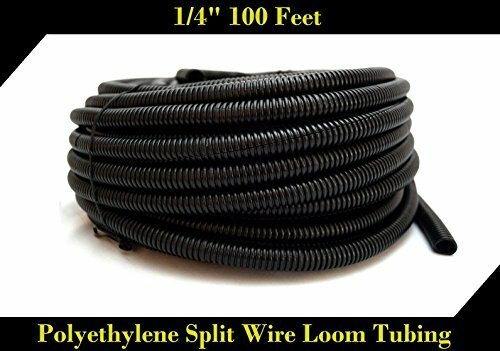 Approved for use in lengths longer than 6-Feet per NEC 356.105. Motor leads per NEC 430.145B. NE Type designation-Type LFNC-B. ANSI / NFPA-70, NEC Article 356. UL Listed to Underwriters Laboratories Standard UL 1660. Approved by Canadian Standards Association. 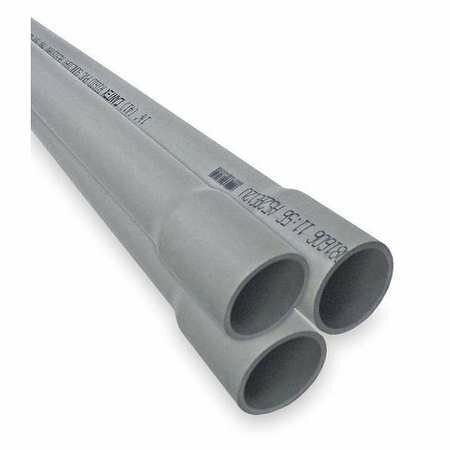 The Sealproof UL Type B Flexible, Nonmetallic Liquid-Tight Conduit resists corrosion, abrasion, oil, water, acid, metal shavings, and rough environments. Resists abuse, pull and crushing. Listed under the Underwriter's Laboratories File no. E-129973 CSA Certified by Canadian Standards Association File No. 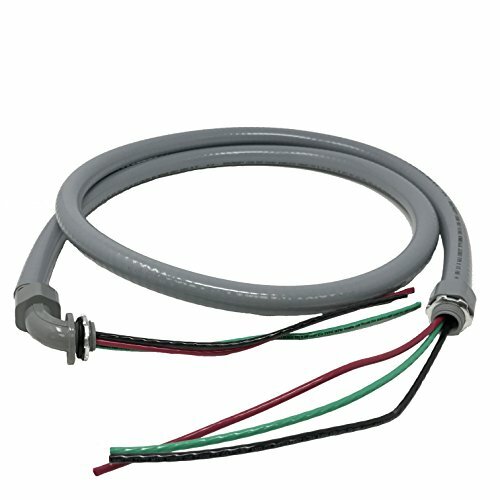 LL-84705 Use with Sealproof straight or right angle connectors May also be used with metallic connectors for liquid-tight conduit UL Rating: 80 C dry, 60 C wet. 70 C oil resistant CSA rating - 18 C to 75 CIntegral rigid & flexible PVC construction. Phthalate Free O. D. Min.-Max. .820 - .840" I.D. Min.-Max. .622 - .642"
Resists corrosion, abrasion, oil, water, acid, metal shavings, and rough environments; resists abuse, pull and crushing; outdoor, sunlight resistant, direct burial. 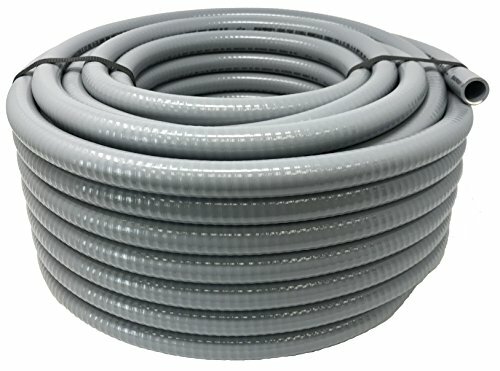 Reduced wall flexible aluminum conduit. Maintains all the strength and durability of steel, but is 2/3 lighter in weight. Designed to meet industry specifications for use with standard conduit connectors and device boxes. Meets UL (Underwriter's Laboratories) Standard 1, NEC Article 350, and Federal Specification WW-C 566C. 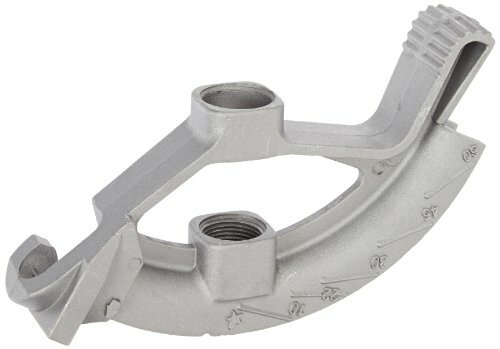 NSi conduit bender have cast in-angle indicators with raised bending points of reference to aid the installer. The bodies are aluminum die cast which are lightweight yet strong enough for everyday use. 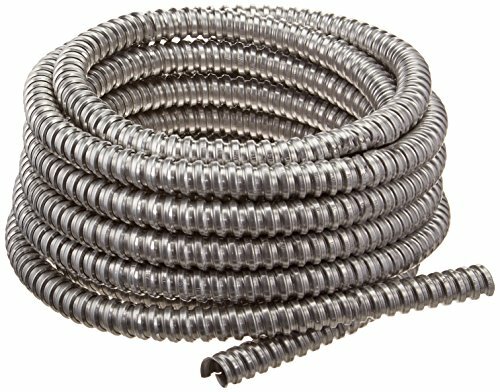 Conduit bender is for 1/2-inches Electrical Metallic Tubing (EMT). 5 Degree inside radius. A four-in-one conduit tool that works great in any situation and will help in all of your conduit and gear installations. 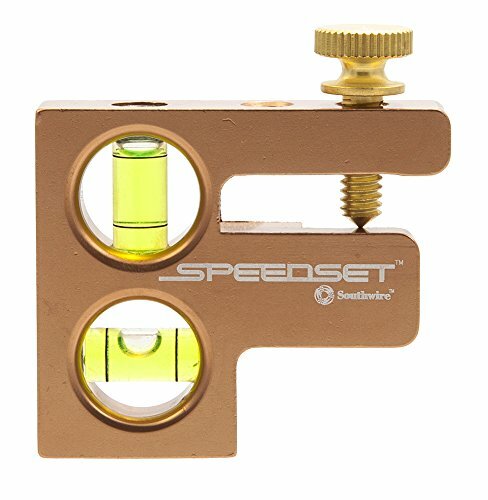 Features: conduit spacer, torpedo level, dog-leg prevent or and bending tool. Lb type conduit bodies are used for making turns in conduit systems, connecting conduit sections and as pull outlets. Conduit bodies also provide openings for maintenance and making taps and splices to conductors. 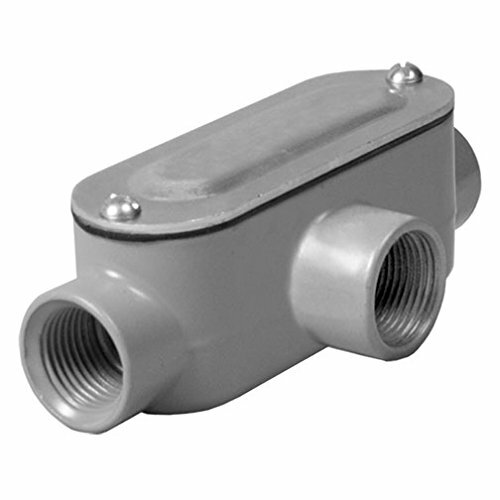 Lb type bodies are for use with threaded rigid/imc conduit. The provided screw-type cover completes the installation. Southwire Armor lite Type MC Cable is suitable for use as follows: Branch, feeder and service power distribution in commercial, industrial, institutional, and multi-residential buildings Fished or embedded in plaster Concealed or exposed installations Environmental air-handling spaces per NEC 300.22 (C) Places of Assembly per NEC 518.4 and theaters per NEC 520.5 Installation in cable tray and approved raceways Under raised floors for information technology equipment conductors and cables per NEC 645.5(D) & 645.5(D)(2) Class I Div. 2, Class II Div. 2, & Class III Div. 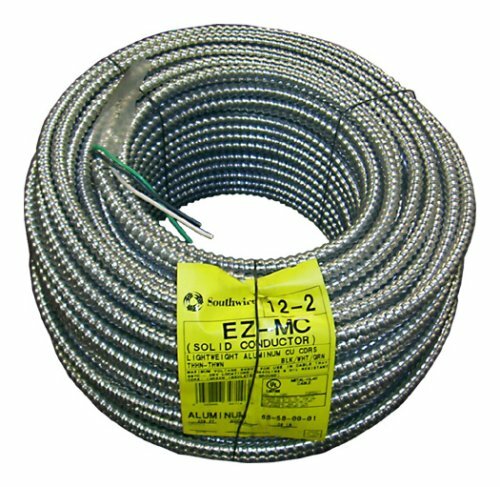 1 Hazardous Locations Southwire Armor lite Type MC Cable meets or exceeds the requirements of the following: UL 83 UL 1569 UL 1685 UL Online Product Guide Info - Metal-Clad Cable (PJAZ) Federal Specification A-A59544 (formerly J-C-30B) FT4/IEEE 1202 (70,000 Btu/hr.) Vertical Cable Tray Flame Test NFPA 70 (National Electrical Code), Article 330 Listed for use in UL 1, 2 and 3 Hour Through Penetration Firestop Systems REACH/RoHS-2 (Chemical Limit) Compliant Specifications: Conductor Size and Colors: 12-2 Solid (Black/White) Grounding Size and Color: 12 Solid (Green) Overall Diameter: .485". Electrical Liquid Tight Conduit 90 Degree Angle Fittings. 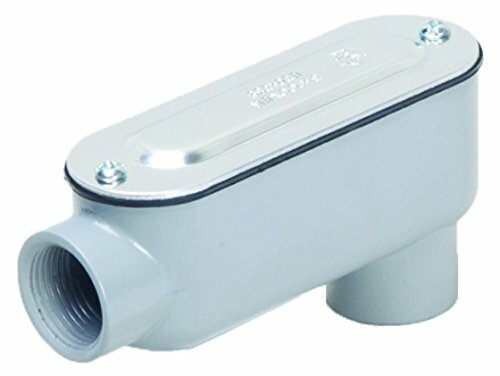 These Electrical Conduit Angle Fittings are constructed of all nylon which resists salt water, weak acids, gasoline, alcohol, oil, and grease. No disassembly is required, instead, the installer simply pushes the conduit or tubing onto ferrule tightening the domed dealing nut. The completed assembly can then be secured in the chassis by the locknut. No threading of the conduit or tubing is required to install, thus eliminating the possibility of cutting the conduit and creating leak paths. The conduit will not wind tight onto the connector during the assembly. The conduit will not wind tight onto the connector during the assembly. 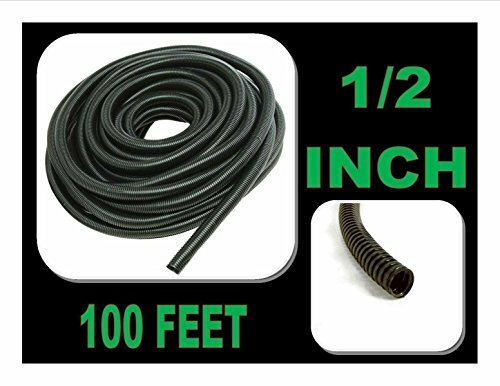 This Flexible, Non-Metallic PVC Liquid Tight conduit, commonly referred to as NM Liquid Tight , flexible conduit , Non-Metallic PVC , "Flex PVC" and PVC Electrical Conduit is perfect for use in multiple applications for electrical, telephone, cable, HVAC, Refrigeration, landscape lighting and more. 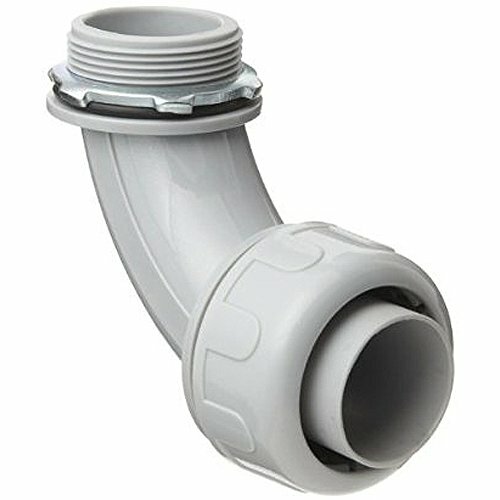 Manufactured with a strong yet flexible PVC covering that is smooth inside for easy wire pulling, this Flexible Liquid Tight Electrical Conduit is perfect where the conditions of installation or operation require flexibility and protections from liquids, vapors, solids and the elements (it is cold, heat and sunlight resistant). Constructed of high-quality materials, it is sunlight, ozone, liquid and mildew resistant. 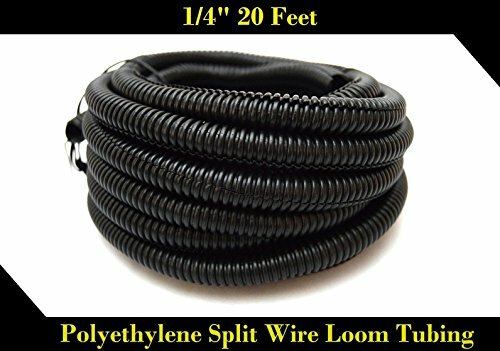 It is lightweight and flexible, but it won t collapse, crimp or leak around curves. It has a rigid PVC spiral which provides strength which is surrounded by a flexible PVC jacket for flexibility and water-resistance. UL and CUL approved. This conduit, when utilized with approved fittings, provides complete ground integrity. It is specifically designed for use for machinery, air conditioning, heating applications and outdoor lighting. It is used in industrial and commercial applications for conveyors, blowers, air conditioners, heaters, machine tooling and lubrication equipment, as well as for flexible connections for swimming pools, spas, hot tubs and pond and water garden motors and pumps. T type conduit bodies are used for making turns in conduit systems, connecting conduit sections and as pull outlets. Conduit bodies also provide openings for maintenance and making taps and splices to conductors. T type bodies are for use with threaded rigid/imc conduit. The provided screw-type cover completes the installation. 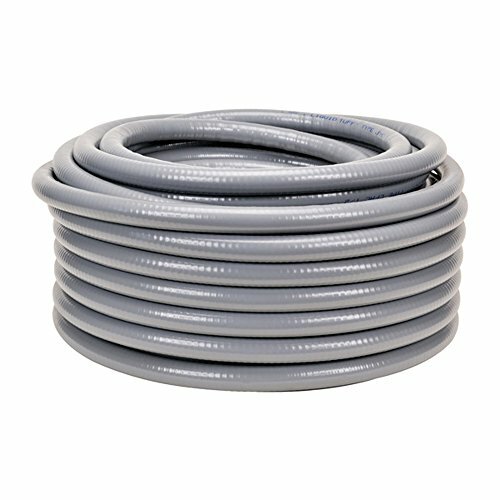 The Current Tools 441 PVC Heating Blanket is the fast and economical way to heat 1/2" to 1 1/2" PVC conduit for bending. The straps and built-in stiffeners hold the blanket tightly in place against conduit surfaces while heating. 120 vac and built in the USA. The Southwire Company LiquidTite 1 in. 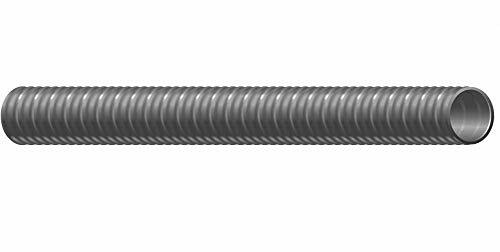 x 100 ft. Non-Metallic Conduit is a flexible housing for electrical wire the provides impact protection in encased concrete or direct burial installations.